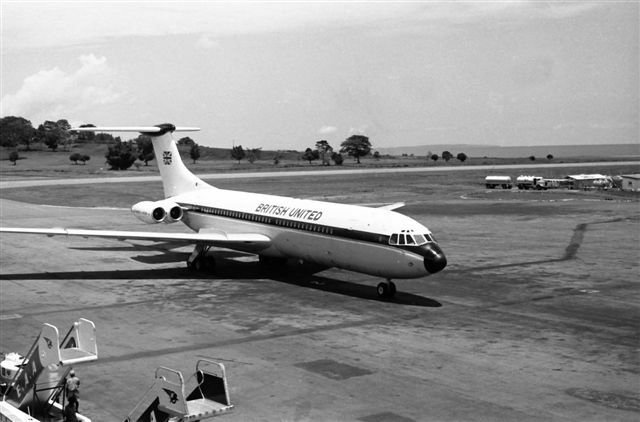 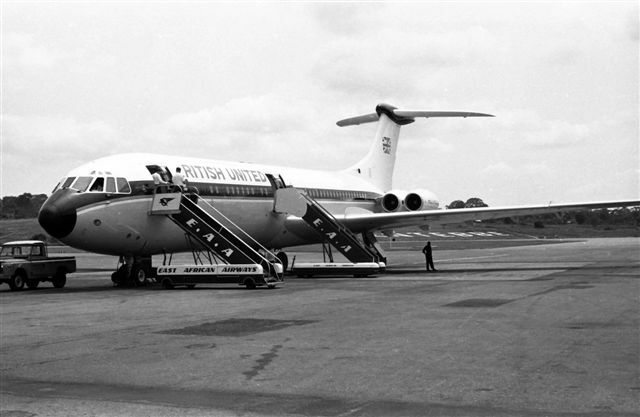 By 1964 - when this photograph was taken - British United had replaced its Britannias with Vickers VC10s . . .
. . . and by the mid 1960s . . .
. . . all three major airlines - BOAC, BUA and East African Airways . 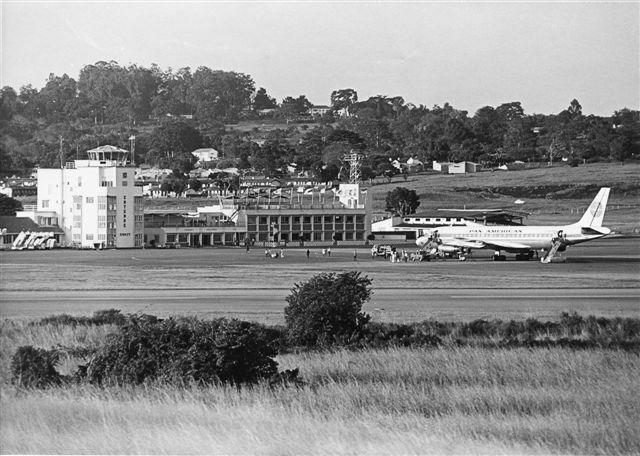 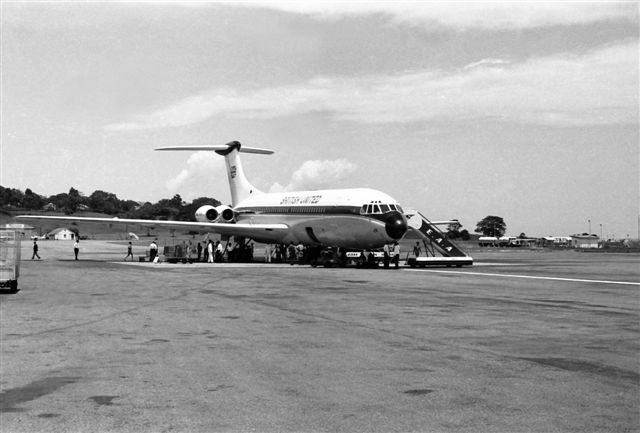 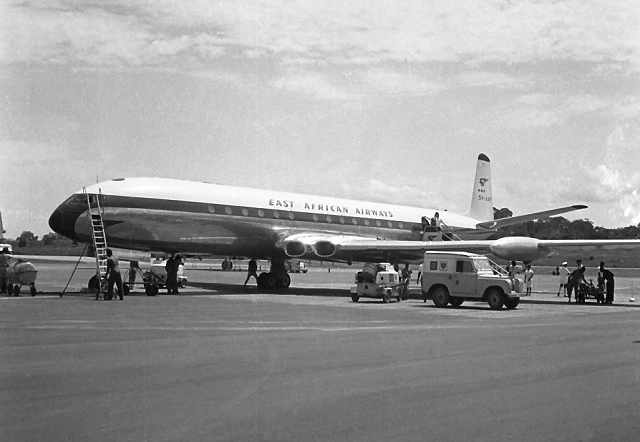 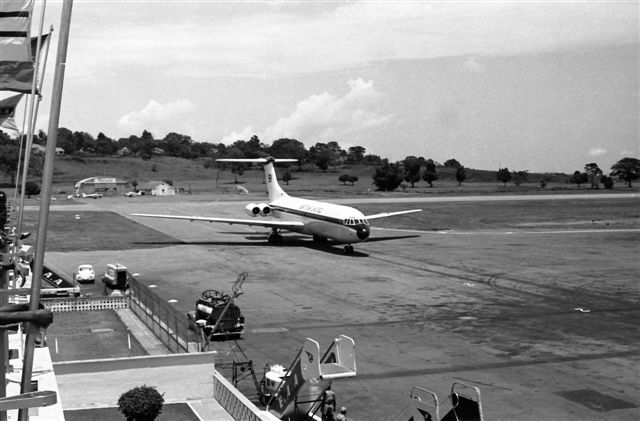 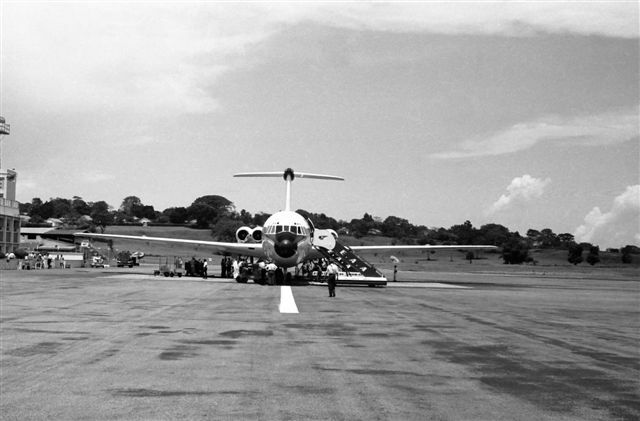 . .
BOAC Argonaut at Entebbe - the inward flight from London, BA 161, arrived in the morning and flew on to Nairobi Eastleigh. 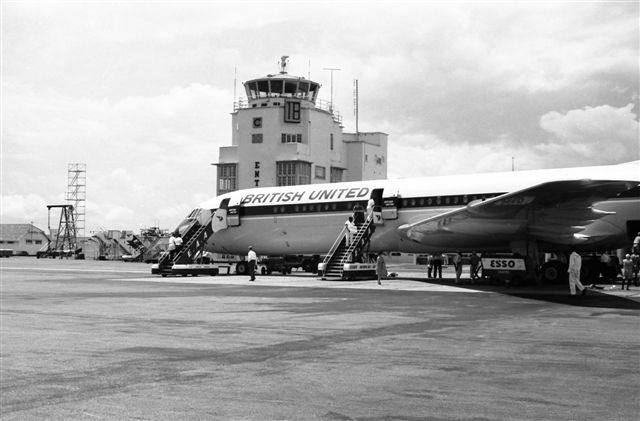 The aircraft then returned from Nairobi as flight BA 162 in the afternoon around 1600. 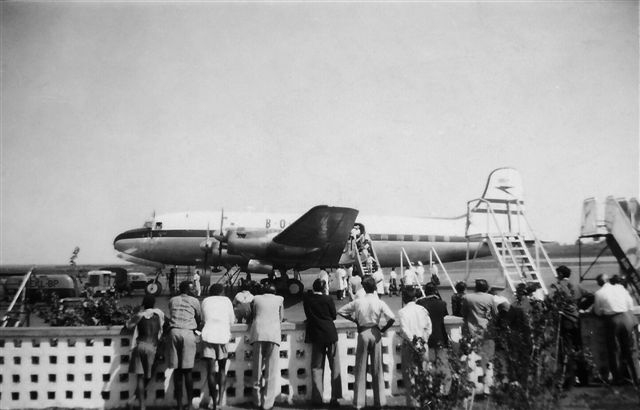 After about an hour it would depart for Khartoum, Benghazi, Rome and London - PHOTO Daphne Seager.